We have awesome news for you guys, design lovers. Soon our poland friend — Mateusz Halawa — will come for a couple of days to Kyiv and will perform in Projector with both lecture and workshop. Take an opportunity to get experience working with teacher of School of Form. 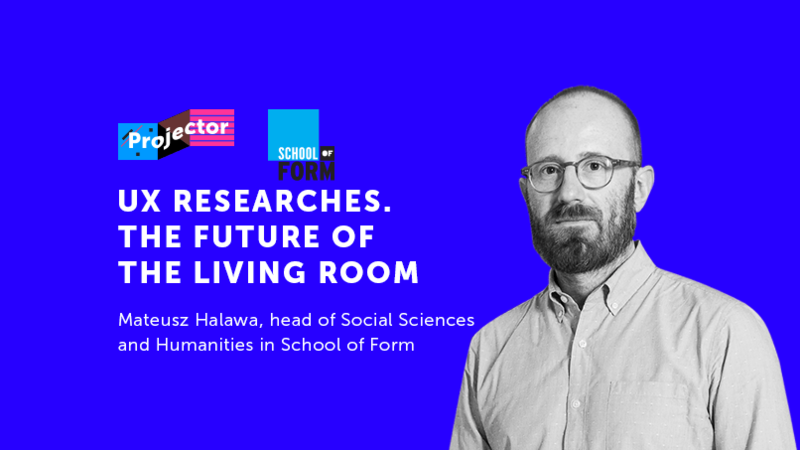 Mateusz Halawa serves as head of humanities and social sciences at the School of Form in Poznan. He is a researcher at the Institute of Philosophy and Sociology of the Polish Academy of Sciences in Warsaw and a doctoral candidate at the New School for Social Research in New York. This workshop uses tools of social research and design speculation to ask about the future of “home" in the 21st century. How will social transformations of communication, work, and identity reshape the living space? Each workshop participant will be expected to conduct a brief ethnographic exercise beforehand (assignment will be distributed on Dec 1). During the workshop we will also work with research materials and insights from the collaboration between School of Form and IKEA. The result will be a set of trends and a deeper understanding of the relationship between design innovation and social change. Workshop will be held in english with no translation. Hope you'll find the theme intresting!